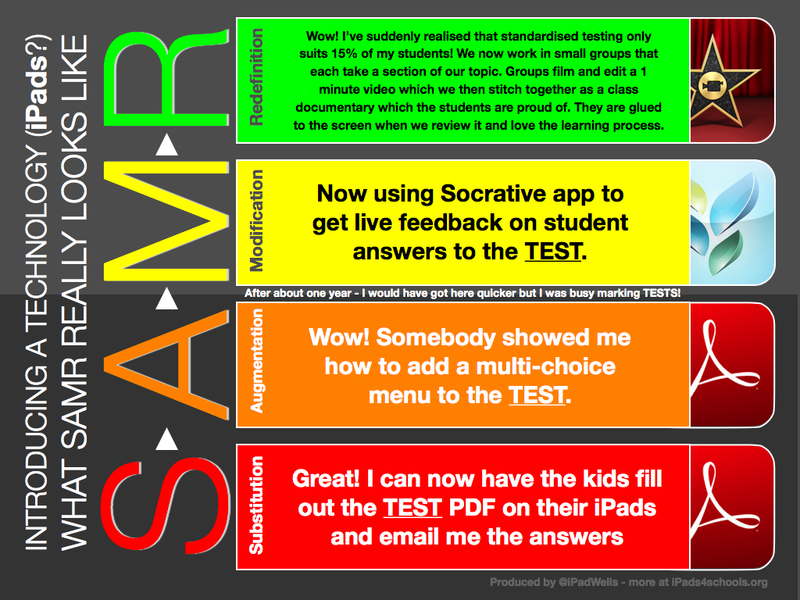 There’s lots of talk of the SAMR model, which simplifies the common process that people go through when introducing any technology, designed by Ruben R. Puentedura. This of course applies to introducing iPads too. There are 1000s of great examples of iPad use in primary / elementary schools but not as many in high schools. I thought I would produce a version of this process that is common with many teachers in secondary / high schools. It’s a little tongue-in-cheek but might give some people ideas about how it relates directly to pedagogy.